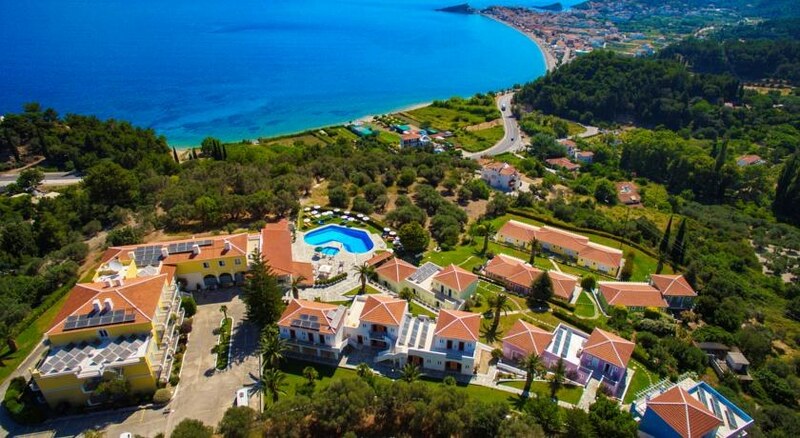 The Arion Hotel sits on the north coast of Samos Island, a lovely Greek island, outside of Kokkari village. The 4-star Arion Hotel places you only 600m from two beautiful beaches, Lemonakia and Tsamadou, and nestles in lawned gardens between inviting ocean and lush countryside. There are 108 bright comfortable rooms contained in a main building and bungalow complex, and pools for adults and children, Jacuzzi, sauna, good eating facilities, and the fabulous beaches. 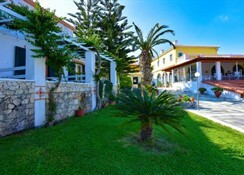 For a terrific value for money Greek island holiday with partner or the family, book into the pleasing Arion Hotel and relax and unwind. The hotel is open from 1 May - 31 October. 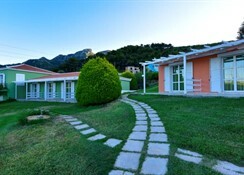 Getting to the hotel: 25km to Samos Airport. 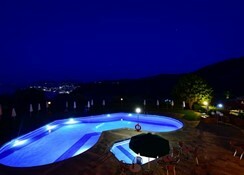 Local tips: The hotel is 10km from Samos town; and a free shuttle bus transports to Kokkari village every half-hour. Food, drink and entertainment: Restaurant-snack bar offers Greek cuisine & international dishes, and bar-pool bar; once a week in June, July & August there is a Greek evening with buffet, and entertainment of Greek music and folk dancing. 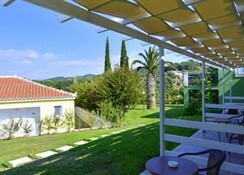 Sport, games and activities: Swimming pool, sun terrace and gardens, loungers & parasols, Jacuzzi, sauna, table tennis, darts, and billiards. 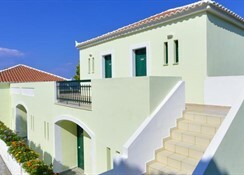 Access to nearby beaches; and access to external Kokkari Surf & Bike Centre for cycling and windsurfing (including lessons). For the kids: Children's pool, and playground. Additional: Front Desk services, housekeeping, air-conditioning throughout, laundry & ironing service, and internet corner. 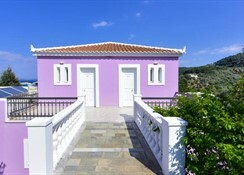 Guest rooms are bright and cheerful with ocean and mountain views, decorated with soft pastel tones, tiled floors, dark wood furnishings and modern conveniences for your comfort; features include a private furnished balcony, air-conditioning, private bathroom with shower & hair dryer, satellite TV, music, direct dial telephone, desk, and fridge.